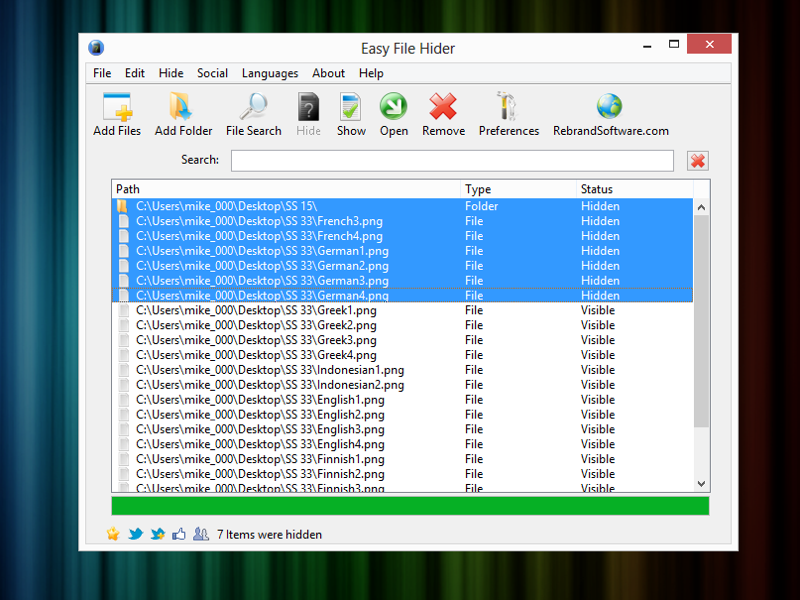 Quickly and easily hide files and folders! Your password-protected list of files and folders can be toggled between hidden and visible with the push of a button! AntiFreeze is a life-saver utility which helps you in situations where you find your computer locked up. It is an emergency task manager utility which offers a last recourse when you find your computer in a hung state.